E2v has a long heritage in providing imaging technology and sensors for over 150 space missions, including the upgrade of the Hubble space telescope, the Mars Curiosity Rover, Gaia and Kepler. Whilst the fascinating discoveries generated by these missions have captivated industry experts and space fans for years, few missions have managed to capture the world’s imagination as much as Rosetta, one of the most publicised and followed ESA missions. 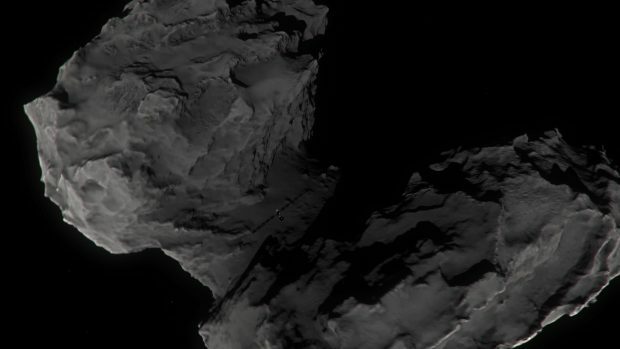 The high resolution images captured by e2v sensors on Rosetta were shared across the globe on social media, bringing the mission to life for the masses, and rightfully so. One of the most incredible and rewarding aspects of our work in this area is the outreach to local communities. Successful space missions inspire the imagination and enable people to see how life and work in space can become a reality and not just the work of Hollywood blockbusters. In a time when STEM (Science, Technology, Engineering and Mathematics) skills are most needed to continue our work in this area, it’s important that we inspire the next generation of space engineers and apprentices. Inspirational images captured in space can certainly help with that. Ground-breaking space imaging has revolutionised how we view our world, and now that it can be shared more readily than ever before, it can help us all understand how it shapes and protects our future too. e2v’s role in the Rosetta mission did not end as the spacecraft and sensors took flight. Since then, e2v employees have taken part in many national and local media events as well as hosting talks and demonstrations at schools and universities. It’s this local outreach which will really prove the long term impact of the Rosetta mission; by inspiring the next generation of would-be space scientists, engineers and analysts. While it has been extremely rewarding to see our sensors celebrated for their technical success, it’s the community outreach that has proven that ‘Bringing life to technology’ can benefit science and the wider community, helping to unlock the secrets of the universe for us all.